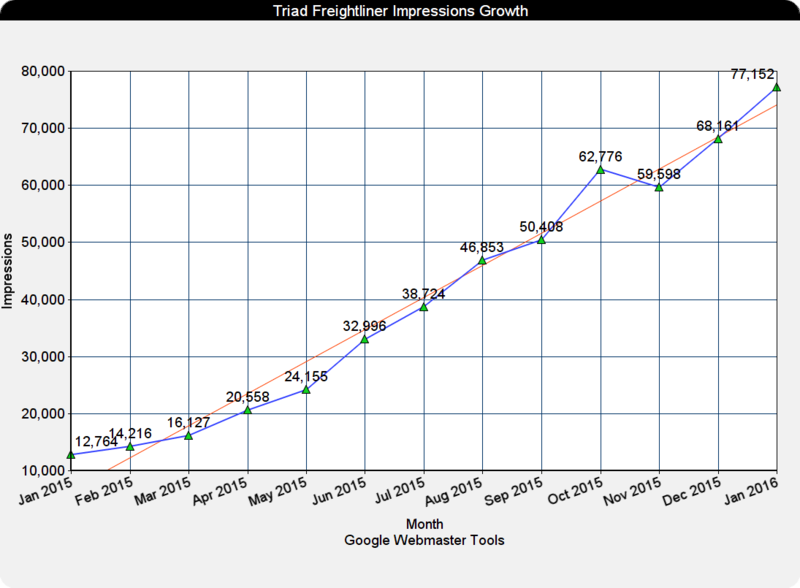 Coming from an old static HTML site that had no mobile optimization and very little content, Triad Freightliner was looking for a way to broaden their influence online. Their main sales driver had always been Truck Paper, but with everyone talking about the importance of being on the web, the management team was open to a full-scale redesign with ongoing marketing services. Our work began with a new design that used large imagery and full-width elements to create a fully responsive experience. The presentation was tailored for quick access to things truckers would need in the go, such as calling for service, reaching the parts department, or even getting connected to sales. Other changes included a significant amount of new content about every Freightliner truck in their lineup, as well as the various services they offer on-site. 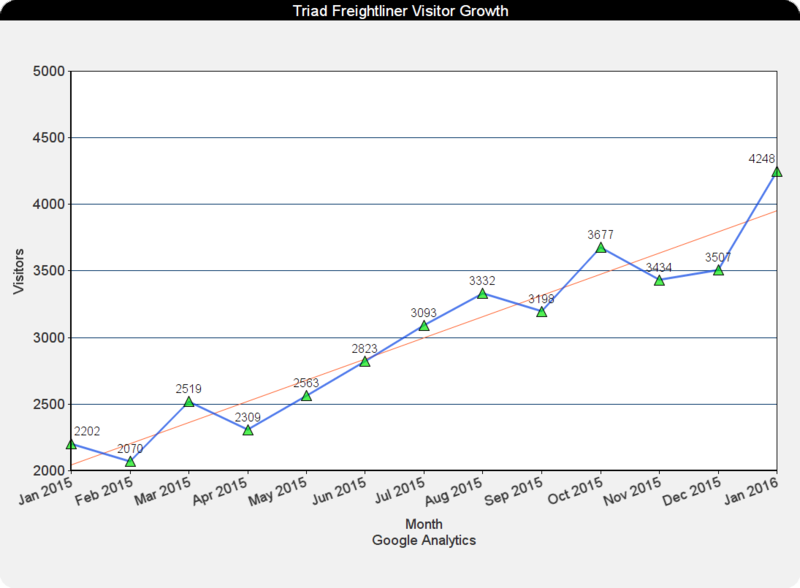 Since Triad Freightliner primarily sells new and used semi trucks, an important component of the new site was building an interface to not only store truck inventory, but one that was intuitive enough that the sales manager could update it regularly. This would allow the site to be a viable alternative to Truck Paper, able to showcase its inventory based on its own ranking merits and provide a cohesive brand experience. Prior to the new site launch in September 2014, they'd been averaging 900 site views per month. After launch there was a steady increase that climbed to over 4.5x that as of March 2016. But it wasn't just more traffic — phone calls and other conversion metrics increased proportionally throughout.